Why are you two idiots fighting each other when there is a bigger threat behind you? 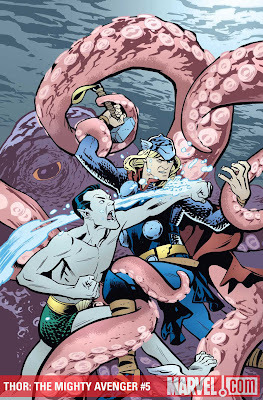 I gaurantee you will bond over a good octopus bashing. I know I always do. You two are both heroes. Act like it! Oh and Thor? Is that your helmet or a ball cap with wings. GAH! 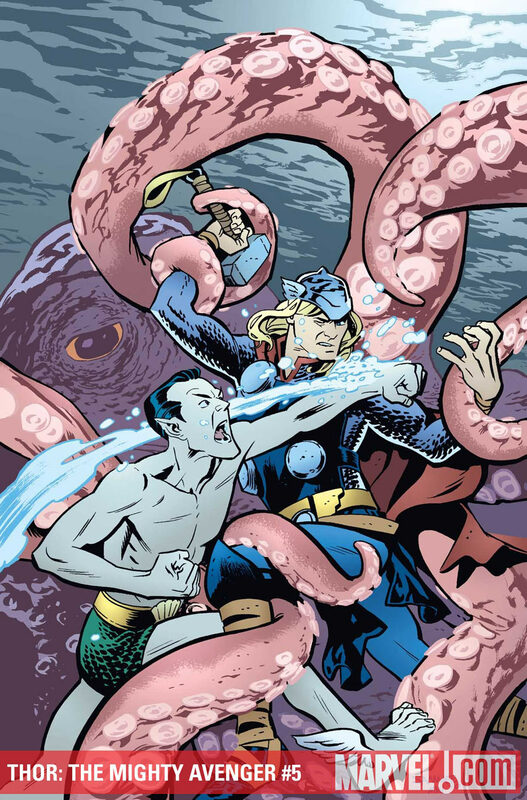 You'd think the Mighty Thor and his thunderbolts would make quick work of the cephalopod and the Submariner. I would at least HOPE so.